I have decided to venture into the world of GDAL/OGR with Python with my main motivation to mimic some tools from ArcGIS for Desktop. I am hoping that this will help me to improve on a few fronts; my Python coding, increased knowledge regarding open source geospatial libraries, and to better understand the algorithms that churn away behind the scenes when you click a button in a GUI based GIS and perform some sort of geoprocessing or data analysis. I mainly work with ESRI File Geodatabases and while I know this is not open source ESRI have an API in place to read and write to a gdb via GDAL/OGR. The first step is to setup what I need to start my journey for learning GDAL/OGR with Python for Windows. I will also install a few libraries that will help speed up some computations for more efficient geoprocessing. Click here to download and the install. 2. Go to Christoph Gohlke’s website and download the GDAL wheel. Open the command prompt, change directory to where the whl was downloaded and use pip to install. or wherever your site-package folder resides. Just make sure to extract it to osgeo. In Advanced System Settings create a new Environmental Variable called GDAL_DRIVER_PATH and set the path to the osgeo folder in Step 5. … and uncomment line 10. If you do not get an errors like the screenshot above then setup has been successful. Open up the command prompt and change directory to where the downloaded file resides. Use pip to install. Open up the command prompt if you have closed it after Step 1 and change directory to where the downloaded file can be found. You got it, go back to Gohlke and download the Shapely whl file. I grabbed Shapely‑1.5.17‑cp27‑cp27m‑win32.whl. 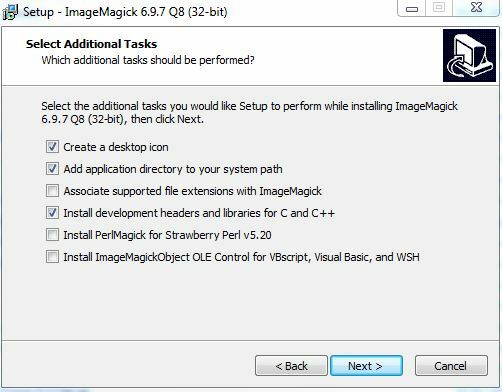 Use pip to install similar to Steps 7 and 8. Now to immerse myself in learning mode and put GDAL/OGR to some use. Check out OSGP#1.1: Measuring Geographic Distributions – Mean Center for the first attempt. I recently had a torrid time trying to research and implement a Python script that could batch convert from PDF to JPG. There are numerous entries online that aim to help (and did so in parts) but I struggled to find one with a concise workflow from start to finish that satisfied my criteria and involved setting up what’s required to implement such. The below could be slated for not being the most ‘Pythonic’ way to get it done but it certainly made my life easier. I was struggling with Wand and ImageMagick as per most posts until I luckily stumbled across an entry on StackOverflow where floqqi, my new hero, answered my prayers. I felt that if I struggled with this that there must be others out there with the same predicament and I hope that the title of this post will help it come to the forefront of searches and aid fellow Python snippet researchers in finding some salvation. floqqi recommends downloading the latest version, which at the time of writing this is 7.0.4-3. I had already installed an earlier version while trying to get the Wand module to work. My version is 6.9.7-3. If you hover over the links you should be able to see the full link name http://www.imagemagick.org/download/binaries/ImageMagick-6.9.7-3-Q8-x86-dll.exe, or just click that link to download the same version I did. Run the installer, accept the license agreement, and click Next on the Information window. In the Select Additional Tasks make sure that Install development headers and libraries for C and C++ is selected. Click Next and then Install. where file.pdf and file2.jpg are fully qualified paths for an input PDF and and output JPG (or the current directory contains the file). If no errors are presented and the JPG has been created you can move on to the next step. Otherwise step into some troubleshooting. I downloaded the Python 2.7 32-bit whl file PythonMagick‑0.9.10‑cp27‑none‑win32.whl and then used pip to install from the command prompt. We now have everything set up and can begin to write a script that will convert multiple (single page) PDFs to JPGs. A couple of global variables, one for the directory that holds the PDFs, and another to hold a hexidecimal value for the background colour ‘white’. After trial and error I noticed that some JPGs were being exported with a black background instead of white and this will be used to force a white background. I found a useful link on StackOverflow to help overcome this. Set and read in each PDF. density is the resolution. Get the dimensions of the image. Build the JPG for output. This part must be the Magick in PythonMagic because for a small portion of it I am mystified. See that last link to StackOverflow for the origin of the code here. The PythonMagick documentation is tough to digest and in various threads read the laments about how poor it is. And see how long it took the script to run. This places the output JPGs in the same folder as the PDFs. Based on the resolution (density) and quality settings the process can be a bit lengthy. Using the settings above it took 9 minutes to do 20 PDF to JPG Conversions. You will need to figure out the optimum resolution and quality for your purpose. Low res took 46 seconds for all 20. As always I feel a sense of achievement when I get a Python script to work and hope that this post will spur on some comments to make the above process more efficient. Feel free to post links to any resources, maybe comment to help myself and other readers, or if this helped you in anyway let me know and I’ll pass the thanks on to floqqi and the rest of the crew. This script is the limit of my knowledge with PythonMagick and this is thanks to those that have endeavoured before me and referenced in the links throughout this post. Thanks guys. I have been using arcpy intermittently over the past year and a half mainly for automating and chaining batch processing to save myself countless hours of repetition. This week, however, I had to implement a facet of arcpy that I had not yet had the opportunity to utilise – the data access module. A file geodatabase with 75 feature classes each containing hundreds to thousands of features. These feature classes were the product of a CAD (Bentley Microstation) to GIS conversions via FME with data coming from 50+ CAD files. As a result of the conversion each feature class could contain features with various attributes from one or multiple CAD files but each feature class consisted of the same schema which was helpful. The main issue was that the version number for a chunk of the CAD files had not been corrected. Two things needed to be fixed: i) the ‘REV_NUM’ attribute for all feature classes needed to be ‘Ver2’, there would be a mix of ‘Ver1’ and ‘Ver2’, and ii) in the ‘MODEL_SUMMARY’ if ‘Ver1’ was found anywhere in the text it needed to be replaced with ‘Ver2’. There was one other issue and this stemmed from creating new features and not attributing them, this would have left a ‘NULL’ value in the ‘MODEL’ field (and the other fields). All features had to have standardised attributes. The script would not fix these but merely highlight the feature classes. 2. Find and replace ‘Ver1’ with ‘Ver2’ in the text string of ‘MODEL_SUMMARY’ for all features. 3. Find all feature classes that have ‘NULL’ in the ‘MODEL’ field. Let’s take a look at the thirteen lines of code required to complete the mission. print fc + ": Null value found for MODEL"
Create a list of all the feature classes within the file geodatabase. We know the names of the fields we wish to access so we add these to a list. For each feature class in the geodatabase we want to access the attributes of each feature for the relevant fields. If the ‘MODEL’ attribute has a None (NULL) or empty string value then print the feature class name to the screen. Once one is found we can break out and move onto the next feature class. We know have a list of feature classes that we can fix the attributes manually. Next we find any instance of ‘Ver1’ in ‘MODEL_SUMMARY’ text strings and replace it with ‘Ver2’…. …and update all ‘REV_NUM’ attributes to ‘Ver2’ regardless of what is already attributed. This is like using the Field Calculator to update. Perform and commit the above updates for each feature. Very handy to update the data you need and this script can certainly be extended to handle more complex operations using the arcpy.da.UpdateCursor module. I was recently tasked with traversing through a directory and subsequent sub-directories to find PDFs and split any multi-page files into single-page files. The end goal was to name each extracted page, that was now an individual PDF, with a document number present on each page. There was possibly over 100 PDF files in the directory and each PDF could have one to more than ten pages. At the extreme I could have been looking at around one-thousand pages to extract and rename – a task that would have been very time consuming and mind numbing to do manually. (3) re – the regular expression module to find the text needed to rename the file. Let’s begin by importing the modules at the top of the script. Define a function to extract the pages. This function will take two parameters; the path to the root directory and the path to a folder to extract the pages to. The ‘extract_to_folder’ needs to be on the same level or above the root directory. Use your operating system to create the folder named ‘extracted’ and also create a second folder called ‘renamed’. Next we use the os module to search from the root directory down to find any PDF files and store the full filepath as a variable, one at a time. We then open that PDF in read mode. For each page in the PDF the page is extracted and saved as a new PDF file in the ‘extracted’ folder. The below snippet was sourced from stackoverflow. That completes our function to strip out individual pages from PDF files in a root directory and down through all corresponding sub-directories. This function might be all you need as you can rename the extracted pages as you save each file. The next task for me, however, was to rename the PDFs based on text contained in each individual file. Define a function called ‘rename_pdfs’ that takes two arguments; the path to the folder where the extracted pages reside and the renamed folder. Loop through each PDF and create a filepath to each one. …and create a page object. Now we extract the text from the page. My task was made quite easy because each page had a unique document number with a certain amount of characters prefixed the exact same for each. This meant that I could use regular expression, the re module, to find the prefix and then obtain the rest of the document number. The code below finds the document number prefix in the text extracted from the page and appends the next 14 characters to the prefix to give the full document number. That completes the two functions required to complete the task. …and then call each function. Run the script. The original files will remain and the renamed extracted pages will be in the renamed folder. Any PDF page that failed to be renamed will still be in the extracted folder and you can rename these manually. This failure to rename every PDF is because of the make-up of the PDF i.e. the way it was exported from a piece of software or how it was created. In a test run, out of 206 pages, 10 pages failed to be renamed. When I opened the pages the select tool was unable to highlight text and everything was embedded as an image, hence why the script couldn’t read any text to rename the document. I hope someone out there will find this useful. I am always happy that my code works but appreciate if you have any constructive comments or hints and tips to make the code more efficient. The first chapter is short and sweet and delivered at a beginner’s level with nice point to point walkthroughs and screenshots to make sure you are following correctly. You are briefed on how to design, author, and edit a geodatabase. The design process involves designing the schema and specifying the field names, data types, and the geometry types for the feature class you wish to create. This logical design is then implemented as a physical schema within the file geodatabase. Finally, we add data to the geodatabase through the use of editing tools in ArcGIS and assign attribute data for each feature created. Very simple stuff so far that provides a foundation for getting set-up for the rest of the book. The second chapter is a lot bulkier and builds upon the first. The initial task in Chapter 2 is to add new attributes to the feature classes followed by altering field properties to suit requirements. You are introduced to domains, designed to help you reduce errors while creating features and preserve data integrity, and subtypes. We are shown how to create a relationship class so we can link one feature in a spatial dataset to multiple records in a non-spatial table stored in the geodatabase as an object table. The next venture in this chapter takes a quick look at converting labels to an annotation class before ending with importing other datasets such as shapefiles, CAD files, and coverage classes and integrating them into the geodatabase as a single point of spatial reference for a project. Chapter 3 looks at improving the rough and ready design of the geodatabase through entity-relationship modelling, which is a logical diagram of the geodatabase that shows relationships in the data. It is used to reduce the cost of future maintenance. Most of the steps from the first two chapters are revisited as we are taken through creating a geodatabase based on the new entity relationship model. The new model reduces the number of feature classes and improves efficiency through domains, subtypes and relationship classes. Besides a new train of thought on modelling a geodatabase for simplicity the only new technical feature presented in the chapter is enabling attachments in the feature class. It is important to test the design of the geodatabases through ArcGIS, testing includes adding a feature, making use of the domains and subtypes, and test the attachment capabilities to make sure that your set-up works as it should. Chapter 4 begins with the premise of optimizing geodatabases through tuning tools. Three key optimizing features are discussed; indexing, compressing, and compacting. The simplicity of the first three chapters dwindles and we enter a more intermediate realm. For indexing, how to enable attribute indexing and spatial indexing in ArcGIS is discussed along with using indexes effectively. Many of you may have heard about database indexing before, but the concept of compression and compacting in a database may be foreign. These concepts are explored and their effective implementation explained. The first part of the fifth chapter steps away from the GUI of ArcGIS for Desktop and ArcCatalog and switches to Python programming for geodatabase tasks. Although laden with simplicity, if you have absolutely no experience with programming or knowledge of the general concepts well then this chapter may be beyond your comprehension, but I would suggest performing the walkthroughs as it might give you an appetite for future programming endeavours. We are shown how to programmatically create a file geodatabase, add fields, delete fields, and make a copy of a feature class to another feature class. All this is achieved through Python using the arcpy module. Although aimed at highlighting the integration of programming with geodatabase creation and maintenance the author also highlights how programming and automation improves efficiency. The second part of the chapter provides an alternative to using programming for geoprocessing automation in the form of the Model Builder. The walkthrough shows us how to use the Model Builder to build a simple model to create a file geodatabase and add a feature class to it. The final chapter steps up a level from file geodatabases to enterprise geodatabases. The author walks us through installing Microsoft SQL Server Express and lists some of the benefits of employing an enterprise geodatabase system. Once the installation is complete the next step is to connect to the database from a local and remote machine. Once connections are established and tested an enterprise geodatabase can be created to and its functionality utilised. You can also migrate a file geodatabase to and enterprise geodatabase. The last part of Chapter 6 shows how privileges can be used to grant users access to data that you have created or deny them access. Security is an integral part of database management. Overall Verdict: for such a compact eBook (158 pages) it packs a decent amount of information that provides good value for money, and it also introduces other learning ventures that come part and parcel with databases in general and therefore geodatabases. Many of the sections could be expanded based on their material but the pagination would then increase into many hundreds (and more) and beyond the scope of this book. The author, Hussein Nasser, does a great job with limiting the focus to the workings of geodatabases and not veering off on any unnecessary tangents. I would recommend using complimentary material to bolster your knowledge with regards to many of the aspects such as entity-relationship diagrams, indexing (both spatial and non-spatial), Python programming, the Model Builder, enterprise geodatabases and anything else you found interesting that was only briefly touched on. Overall the text is a foundation for easing your way into geodatabase life, especially if shapefiles are still the centre of you GIS data universe.